A ranking of companies that are doing well by doing good. It is meant to shine a spotlight on companies that have made progress in addressing major social problems as a part of their core business strategy. The ranking is entirely built on the judgment of a jury consisting of “dozens of experts” from all over the world and Fortune’s editors. 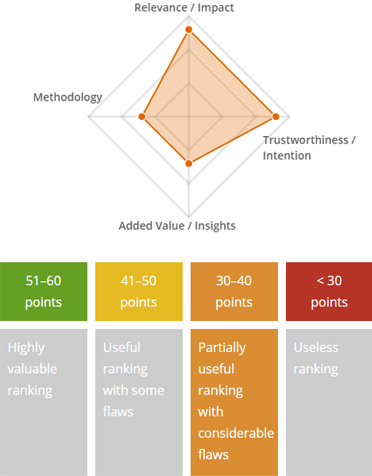 By this it is clearly distinct from other major sustainability rankings, which are all purely data based.